For the Buhari administration, the anti-corruption fight is no longer a potent political tool, and for the average Nigerian, the political class is one and the same. This perception, wrong or right, is one reason why the government should tread carefully. Government must watch its actions to avoid tending towards executive recklessness. There are different seasons for different reasons. When issues are not appropriately timed, they can be misconstrued. Executive Order Number 6 is one of such poorly timed executive interventions. Besides, it is a mere rehash of what is already statutorily backed. 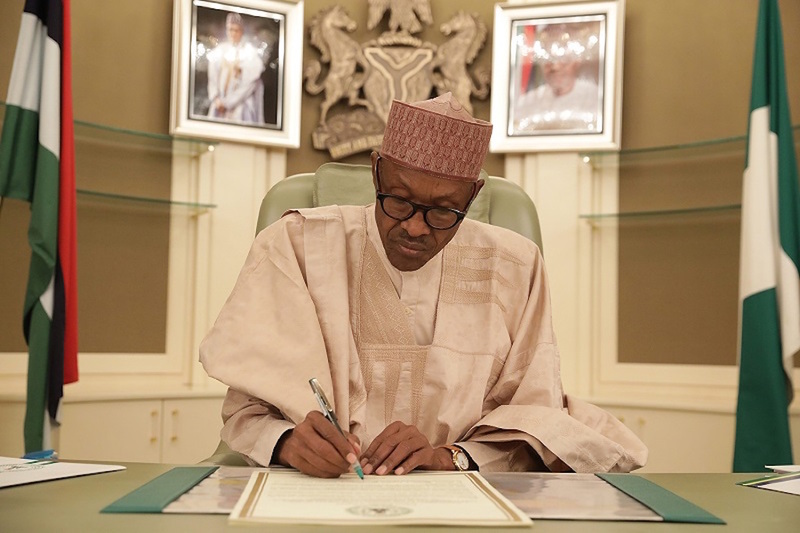 President Muhammadu Buhari last week mandated the attorney general of the federation and minister of justice to implement the order in full force. The order seeks “to ensure that all assets within a minimum value of N50 million or equivalent, subject to investigation or litigation are protected from dissipation by employing all available lawful means, pending the final determination of any corruption-related matter”. The EO6, which some have described as an “explosive ordinance or EOD” (ignore the pun) akin to the infamous decree 4 of 1984, affects about 50 high profile Nigerians on the watch-list and radar of government, even as they have been barred from leaving the country pending the determination of the cases against them. Relevant government agencies like the Economic and Financial Crimes Commission (EFCC), the Police, Independent Corrupt Practices and other Related Offences Commission (ICPC), and Immigration have also been put on alert to monitor transactions involving this group of people. The order this time came after the judicial affirmation of the constitutionality and legality of the executive order, after some lawyers tested its legitimacy in court. This order amounts to an overkill because the cases involving these people are in various courts and stages in the country. Why is the government so uncoordinated and what is the furore about? Is the government afraid of losing these cases in court? In any election year, trust becomes fragile; there is therefore palpable fear that the order is directed at enemies of government, critics and the opposition. …timing and circumstances are of essence in any government-citizen engagement. The EO6 this time was not well-thought out and it is another public relations disaster for the Buhari administration. For a president with a military background and a nation that was under military rule for years, EO6 is like a journey into our ugly past. By Saturday, names of people already standing trial were bandied as the targets. However, the list was soon disowned, perhaps because of the national outcry that trailed it, turning the whole brouhaha into an anti-climax. Many of the names that came to fore are people already on trial. The question now is why the new form of order? Even though presidential spokesman, Garba Shehu called it “a paradigm-changing policy of the federal government in the fight against corruption”, it is actually an old story, coated in a new language to give the impression the government is committed to transparency. The opposition Peoples Democratic Party (PDP) was already jittery; it rejected the EO6, saying it was illegal, draconian and targeted at members of the opposition and perceived political enemies. Civil society and legal minds have also been speaking out; prominent among them being Femi Falana (SAN), who said the EO6 “is unquestionably anti-democratic and a veiled snare for citizens’ rights”. Access to Justice, a CBO added its voice thus: “EO6 is a gratuitous piece of dangerous precedent that opens the door to uncontrollable dictatorship; it can be used arbitrarily and vindictively to fight and muzzle political opposition and promote wholly politically-partisan objectives”. Like I indicated above, timing and circumstances are of essence in any government-citizen engagement. The EO6 this time was not well-thought out and it is another public relations disaster for the Buhari administration. For a president with a military background and a nation that was under military rule for years, EO6 is like a journey into our ugly past. Coming shortly after the Osun election, perceived to have been rigged in favour of the ruling party, EO6 is a reminder that coercion and intimidation can be employed in the next election and above all, EO6 is seen as a smokescreen to hoodwink Nigerians and legitimise the clamp down on the opposition by the government. There are concerns about misdemeanours of government officials and pro-government people who were never reprimanded. There are pointers to the dead silence over Babachir Lawal’s grass-cutting scandal, the Mainagate, former DSS DG Lawal Daura’s shoddy handling of his predecessor, Ita Ekpeyong’s case with the EFCC, which was attributed to finance. Besides, tongues are wagging over defectors who are equally corrupt but are being shielded because of their new status as APC chieftains. These unforced public relations errors are too pedestal for a government that has a Senior Advocate of Nigeria (SAN) and professor of Law as vice president and another SAN as attorney general and minister of justice. You don’t need any executive pronouncement to bring any corrupt Nigerian to book. I wonder if the executive order was thoroughly thought through. Sambo Dasuki obviously is on the list; he has been standing trial since December 2015. These unforced public relations errors are too pedestal for a government that has a Senior Advocate of Nigeria (SAN) and professor of Law as vice president and another SAN as attorney general and minister of justice. You don’t need any executive pronouncement to bring any corrupt Nigerian to book. It does appear that the government is losing it on the strategic front going into the 2019 elections. Recall that by this time four years ago, the mere mention of the fight against corruption would send shivers down the spines of the then ruling party and set the crowd (if it was at a rally) jeering, cheering and hoping for a new dawn. That has since gone with the wind, and in reality has become a mere slogan; and sloganeering is the stock in trade of politicians. Majority of Nigerians are desirous of fighting the monster called corruption; however, when the fight is perceived to be selective and skewed, it loses its essence and the nation is the worse for it. For the Buhari administration, the anti-corruption fight is no longer a potent political tool, and for the average Nigerian, the political class is one and the same. This perception, wrong or right, is one reason why the government should tread carefully. Government must watch its actions to avoid tending towards executive recklessness.